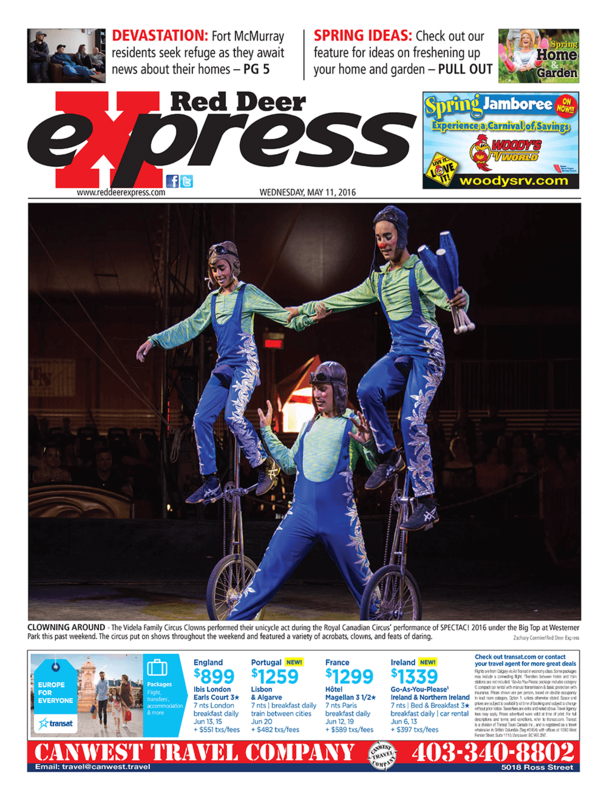 The Videla Family Circus Clowns performed their unicycle act during the Royal Canadian Circus’ performance of SPECTAC! 2016 under the Big Top at Westerner Park this past weekend. The circus put on shows throughout the weekend and featured a variety of acrobats, clowns, and feats of daring.